The fantasy genre is prominent in every area of entertainment. 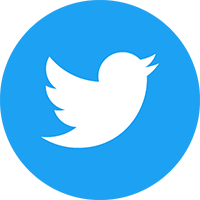 Following the huge success of the Lord of the Rings films and more recently Game of Thrones, fantasy has become a favourite for millions of people across the world. Thanks to its success, it’s no surprise that there’s been a flooding of fantasy material over the past few years. Earlier this year The Shannara Chronicles, an adaptation of the Shannara books by Terry Brooks, made its way onto MTV and proved itself to be a hit with viewers over its 10 episode first season. With the show already renewed for a second season, the first season has recently been released on Blu-ray and DVD so fans can rewatch it to their hearts content and new fans can see it for the first time. The Shannara Chronicles’ first season is based on the second of Brooks’ book, The Elfstones of Shannara, and tells the story of half-elf Wil (Austin Butler), the last of the bloodline of the Shannara family who is destined to save the Four Lands from demons. Armed with three Elfstones from his late father, Wil crosses paths with the slippery Eretria (Ivana Banquero) and Elven Princess Amberle (Poppy Drayton). Together the trio are led by Allanon (Manu Bennett), the last druid who has been alive for more than 300 years, on a mission to save ancient tree the Ellcrys, which is releasing demons into the Four Lands. The Shannara Chronicles is aiming squarely for an audience that is missing Lord of the Rings but not old enough yet for Game of Thrones. The plot is surprisingly intricate and at times complicated but if you managed to keep up with Lord of the Rings, you should have no problem following this. The show is a mix between action, drama and romance but also has a darker edge that makes it fairly tense and dare I say a little scary at times. As with any fantasy series it relies on you buying into the world you’re watching and sometimes leaving logic at the door. Austin Butler, best-known for his roles in The Carrie Diaries and Arrow, leads the talented young cast and it’s a different kind of role for him. Previously I’ve seen him play the romantic lead so it’s nice to see a different side to acting talent. He proves to have a knack for comic timing and he can pull off the more dramatic scenes. Poppy Drayton is also very strong as Amberle, the feisty princess who is trying to break out of the expectations placed on her because of her gender. Ivana Banquero has a lot of fun as Eretria and keeps everyone on their feet. The Shannara Chronicles is perfect for those who love their fantasy shows. Its primary audience is the tweens but it does enough to keep a slightly older audience hooked too. 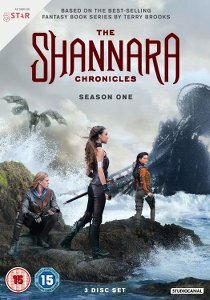 If you’re sick of vampires and werewolves then The Shannara Chronicles is a good alternative and should appeal to those who like Warcraft and those similar kinds of entertainment.